Not a member? Please consider joining today. 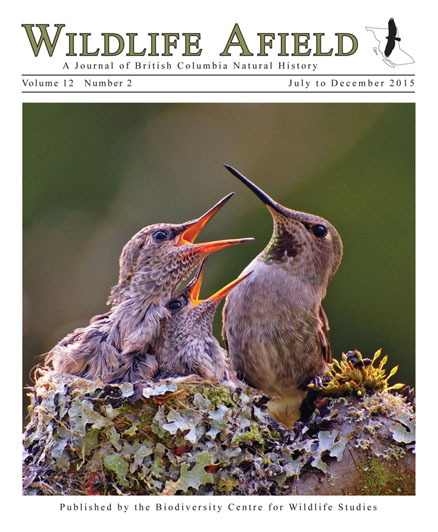 natural history journal Wildlife Afield and society voting privileges. If you are already a member please remember to renew for 2019. 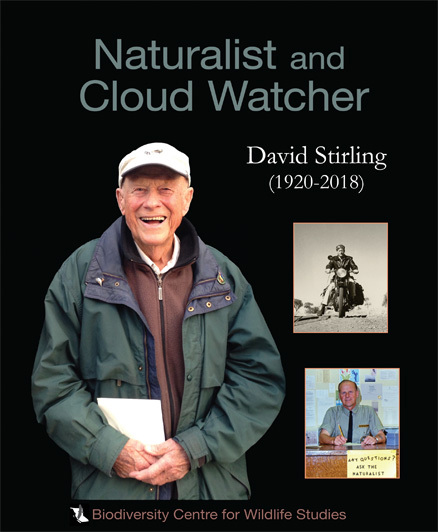 A new biography, Naturalist and Cloud Watcher, is now available on the life and accomplishments of long-time BC naturalist David Stirling. The book chronicles David’s early subsistence life in Athabasca, Alberta; two years of wanderlust on a motorcycle with his wife exploring Australia; developing the successful BC Parks nature interpretation program; mentoring hundreds of aspiring young naturalists; and in retirement leading wildlife tours to all the world’s continents. He attributed his 97-year life to good genes and following the advice of Ralph Waldo Emmerson who wrote, Adopt the pace of nature; her secret is patience. 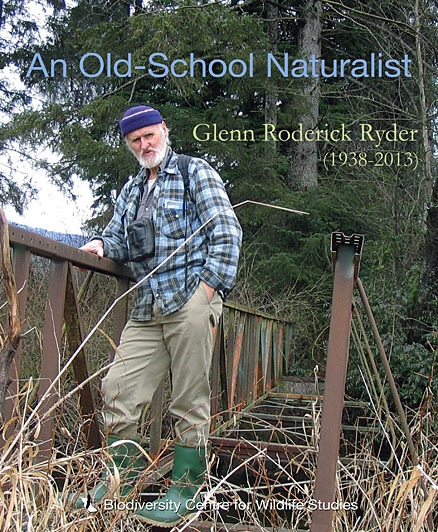 The publication, written by long-time friends Wayne Campbell and Barbara Begg, also includes reminiscences of ten friends and a comprehensive list of over 200 articles by David, many of which were published in Victoria Naturalist and BC Naturalist. David authored six books as well. The 80-page book has four coloured inserts highlighting David’s life and contains hundreds of black-and-white photographs and sketches. It costs $20.00 (including postage) to cover production and postage expenses. The book is available from the Biodiversity Centre for Wildlife Studies online at www.wildlifebc.org (PayPal) or by cheque at BCFWS, 3825 Cadboro Bay Road, PO Box 55053, Victoria, BC V8N 6L8. This seabird catalogue will surprise you – it is not just a valuable reference document. In addition to the scientific text, with an exhaustive compilation of 631 published and unpublished sources, are almost 300 photographs and drawings that document the private lives of seabirds and the field experiences of the surveyors. Two provincial artists donated eight paintings of coastal themes that are added as coloured inserts. Also scattered throughout the text are numerous shaded inserts that include fascinating aspects of the lives of nesting birds and vivid memories of the authors. Some anecdotes like A Life Lesson to Remember and Lost in a Fog Bank relate events that could have turned out differently! 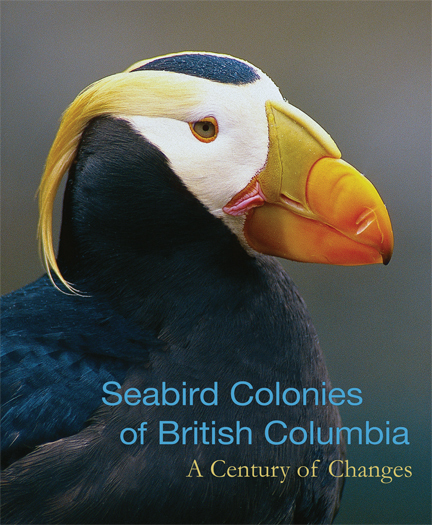 Authors Michael Rodway, Wayne Campbell, and Moira Lemon have brought to fruition five decades of work in this updated seabird catalogue for British Columbia. They have a combined 127 years of seabird experience and have visited all colonies at least once and some many times. This introductory 298-page volume provides an overview of nesting seabirds in British Columbia, including survey history and methods, provincial population summaries, species accounts, threats, and conservation measures. 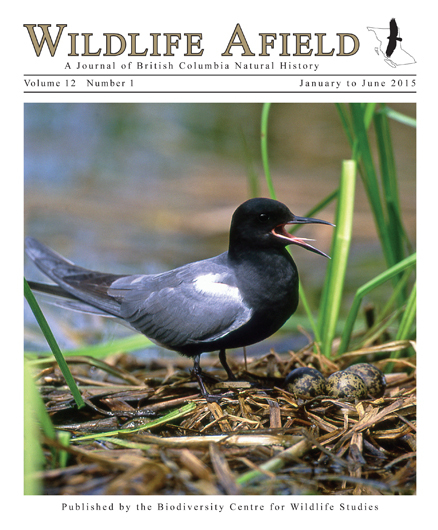 Three subsequent volumes, also to be published in Wildlife Afield, will present detailed histories of every known seabird colony in BC. 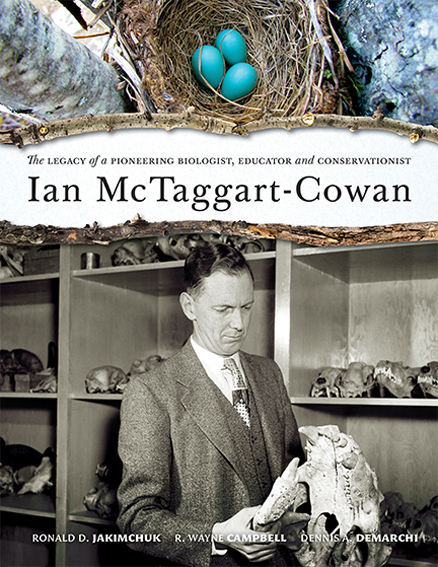 Possibly for the first time in British Columbia an ordinary, non-professional naturalist has been honoured with a detailed account of his contribution to awareness of nature and science and for his conservation efforts.